This snappy, sassy redemption story set in small-town Montana is “a wild and crazy debut novel by a talented young writer” (Jackie Collins), filled with an uproarious and unforgettable cast of characters you won’t want to leave behind.Welcome to Quinn, Montana, population: 956. A town where nearly all of the volunteer firemen are named Jim, where the Dirty Shame—the only bar in town—refuses to serve mixed drinks (too much work), where the locals hate the newcomers (then again, they hate the locals, too), and where the town softball team has never even come close to having a winning season. Until now. Rachel Flood has snuck back into town after leaving behind a trail of chaos nine years prior. She’s here to make amends, but nobody wants to hear it, especially her mother, Laverna. But with the help of a local boy named Jake and a little soul-searching, she just might make things right. 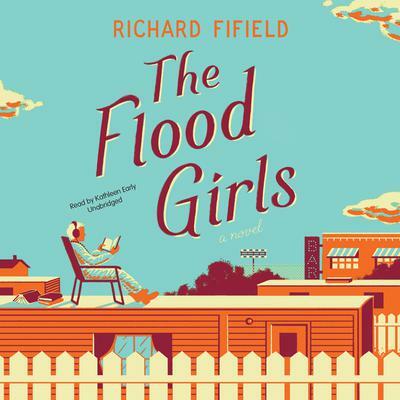 In the spirit of Empire Falls and A League of Their Own, with the caustic wit of Where’d You Go, Bernadette thrown in for good measure, Richard Fifield’s hilarious and heartwarming debut will have you laughing through tears.